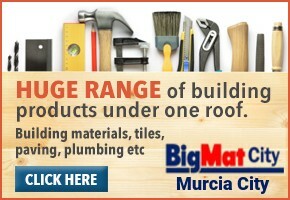 HOME > MURCIA CLASSIFIEDS > BUILDERS & BUILDING SUPPLIES > BIGMAT CITY MURCIA BUILDING.. 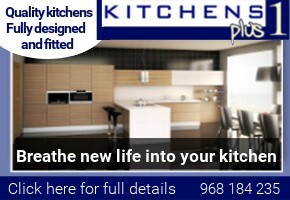 The BigMat City store on the outskirts of Murcia is a huge building materials and equipment outlet which stocks just about everything you could need to build, improve or decorate your home, as well as offering advice and other services to homeowners throughout central Murcia. Such is the range of items on display in the 1,000-square-metre premises that the BigMat City Murcia acts not only as a building supplier but also as a DIY store, an ironmongers and also a machinery rental business, and the need to cater for non-Spanish residents in the Costa Cálida is taken extremely seriously. English-speaking staff are employed and are willing and able to give friendly and professional advice regarding any construction or home improvement project you might be undertaking, and all the aisles in the shop are helpfully labelled in English as well as in Spanish. 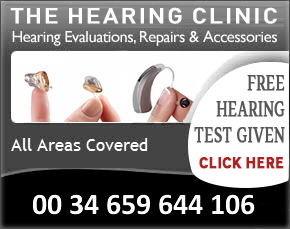 The help given includes a no-obligation budget, technical advice and machinery hire, as well as delivery of all goods to the location where they’re needed. For major purchases, attractive finance terms are also available, and other services offered include the delivery of water for building projects and drinking water to locations where there is no mains supply. 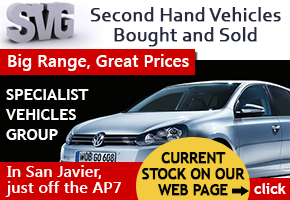 The range of products on offer is almost bewilderingly large. The main specialities are building materials, tiles and paving, plumbing and bathroom fittings, but as the store deals with so many different aspects, it is possible to buy such diverse items as cement mixers and almond graters in the same visit. 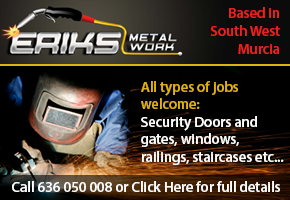 Other products include cement, concrete, ceramics, cladding, insulation, rendering, waterproofing, roofing, brickwork, plumbing, heating and air conditioning, carpentry, doors and windows, tiling, paving, bathroom fittings and furniture, paint, tools and machinery are log burners, kitchen accessories, garden furniture and magazine racks. This truly is a business which supplies everything to build a house from scratch! 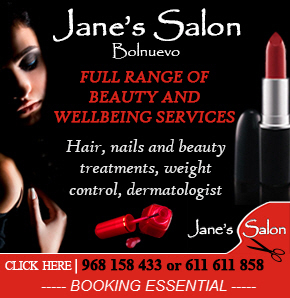 All of these items can be selected and ordered online by either businesses or private customers, as well as in person on the premises, where you can consult the professional advice offered by the shop staff. 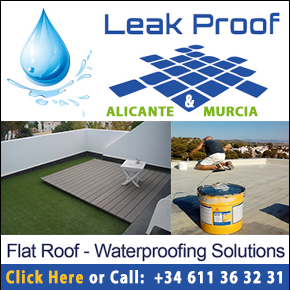 The top brand names on sale at BigMat City Murcia include Bosch, Karcher, Geka, Bellota, Caballito, Kraff, Quimicamp, Weber, Grohe, Teka, Fiora, Porcelanosa and Roca.